Humans for Oceans (H4O) is a 501c3 non-profit organization created to raise awareness and to help save our oceans through an actions reward program. By completing one of our action rewards programs, participants will have the opportunity to receive rewards from our member artisans. Our goal is to be a conduit between the ocean enthusiast community and the ocean artisan community to share their love of all things ocean, and to create a rewards program that directly helps our oceans and fosters a sense of accomplishment and joy. 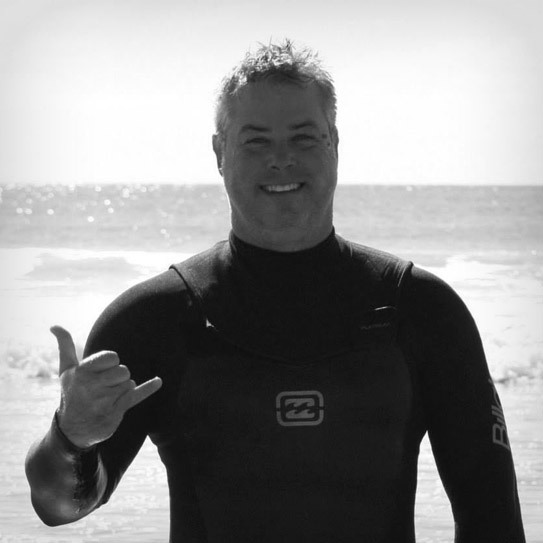 In the water, Chris is an avid kite boarder, surfer, stand up paddle racer. "Nature is the greatest teacher and the genesis of founding Humans for Oceans was to express in small way our immense gratitude that we all felt for how the ocean has enriched our lives through joy and community." Off the water, Chris has been involved in the investment management business for the last twenty years. Most recently Chris founded East Coast Asset Management in 2008 where he serves as Chief Executive Officer and Chief Investment Officer in Essex, Massachusetts. Chris also teaches Security Analysis at Columbia Business School. Off the water, Brownie has spent most of his professional career in Commercial Real Estate. He was a Co-Founder of Fallon Hines and O’Connor and of FHO Partners, an Executive Vice President and Principal of Trammell Crow Company, and an Executive Managing Director and Principal of Cassidy Turley. In the water, Jay can be found son various boards and boats or straight up ocean swimming. "Whether clearing my mind, cleansing my soul or curing a vengeful case of poison ivy, the ocean has always offered it's healing properties and asked for nothing in return. One day, I realized I've taken so much, it's time I had to give back." Off the water, Jay Sweet is best known as the Editor-At-Large for Paste.com and for producing large scale music events, most notably the venerable Newport Folk Festival. In the water, Jim is a passionate waterman, currently focussed on surfing, bodysurfing and distance paddling. He truly loves the ocean and all of its creatures. He is also part walrus and otter, and has been known to stay in the water for 4-5 hours at a time during sub-zero winter surf sessions. He is also very proud to be one half of the Team Otter bodysurfing club. Off the water, Jim is a sales and commodity manager in the technology industry. Additionally, Jim has held numerous positions in the retail sports industry, including a partnership in a private label component company, sales and support roles with Mavic, and technical positions with EGS and Strida. Jim also has a lifelong love of skateboarding. ©2015 Humans For Oceans. All Rights Reserved.